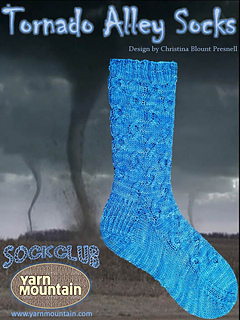 The Tornado Alley design was inspired by conversations during our virtual knit nights regarding life living in the midwestern United States, and how it sometimes seemed that the twisters would arrive one after the other. In this pattern, the all-over cable design is my best attempt at depicting a series of tornadoes moving across the Great Plains. 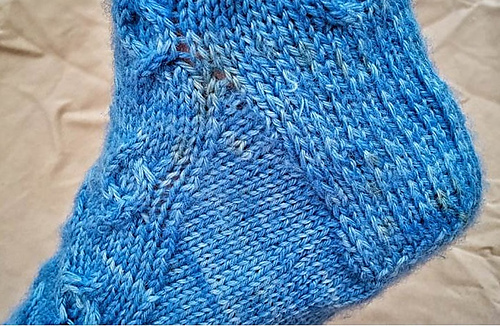 The pattern shows best in a semi-solid yarn, but will break up the patterning of high color variations in hand painted yarns in very interesting ways. 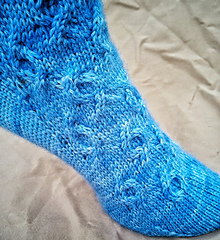 It’s suitable for an intermediate sock knitter with cabling experience. If you don’t have cabling experience, don’t worry. 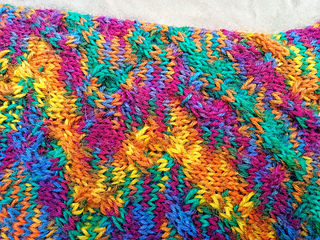 You will have when you finish this pattern! Set of 5, US size 2/2.75mm double pointed needles or one long circular needle for Magic Loop. Set of 5, US size 3/3.25mm double pointed needles or one long circular needle for Magic Loop. 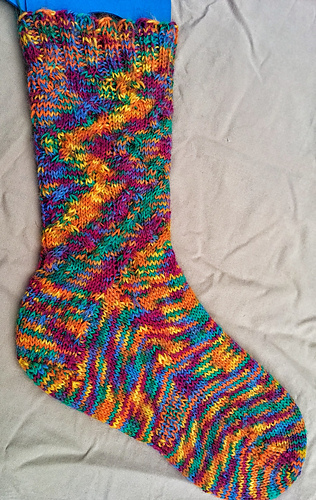 Please contact me if there are any questions about the pattern.